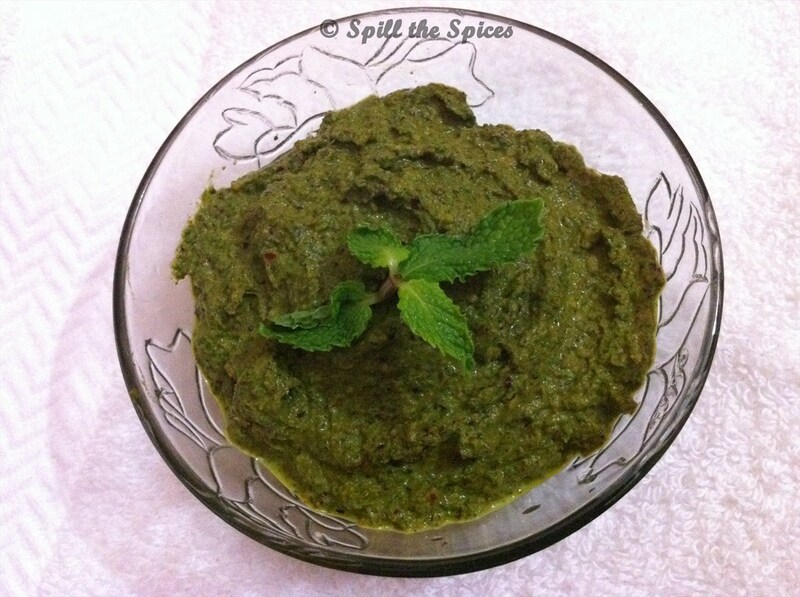 Mint chutney/ Pudina Thogayal is a flavorful and aromatic dip made from mint leaves. This mint chutney is prepared without adding coconut. Mint chutney can be served with dosa, idli or snacks like samosa, cutlet or as a spread for sandwiches. 1. Remove the mint leaves from the stem. Wash well and dry them. Dry roast the mint leaves for a minute. 2. Heat oil and add mustard seeds. When it crackles, add red chillies, green chillies, asafoetida and urad dal. Fry till urad dal turns golden. 3. Grind to a fine paste adding the roasted mint leaves, tamarind and salt adding water as needed.